A collaborative performance using projection mapping by Los Angeles-based Sila Sveta, an interactive media and conceptual design company, and contemporary dance choreographer Anna Abalikhina. The visuals were rendered in real time without any post production and was broadcast live on the TV show Big Ballet, a competition between professional dancers from all over the country with each episode featuring one off-the-competition experimental performance. The mind-bending visuals uses two surfaces combined with precise choreography to create an immersive experience. 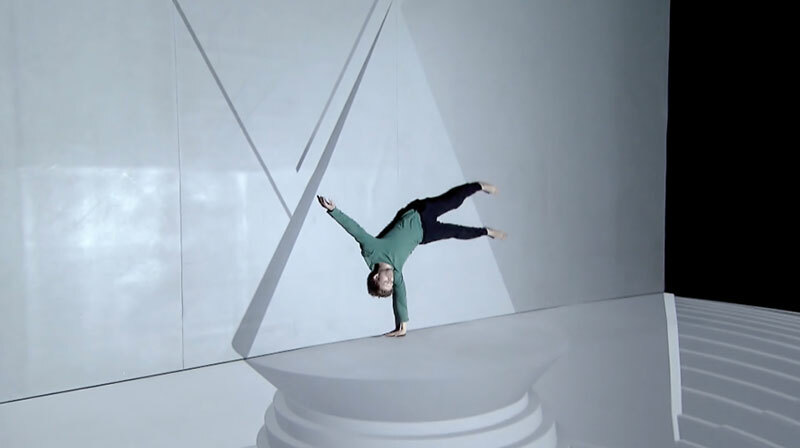 A collaborative performance using projection mapping by Los Angeles-based Sila Sveta, an interactive media and conceptual design company, and contemporary dance choreographer Anna Abalikhina.